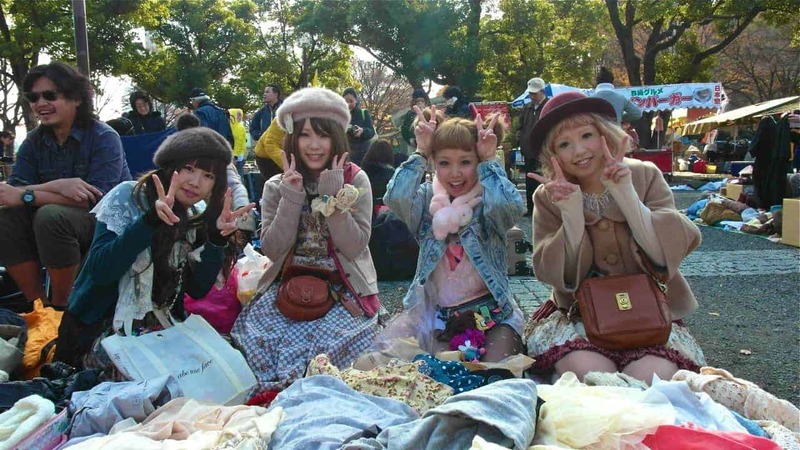 Antique Fairs in Tokyo, Japan (2013 – 2014) 4 out of 5 based on 4 ratings. 4 user reviews. If you like antique kimono’s, obi, old jewelry, or Japanese toys from the Showa era, then you should definitely attend one of the antique fairs held all year long in Tokyo. The capital city has several pretty good one, some of the best known being the Yokohama Antiques Show and the Kottou Antique Fair at Saitama Super Arena. 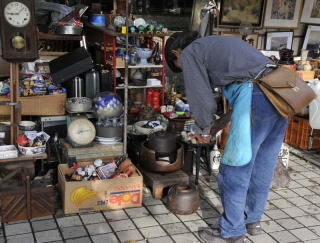 Here is a listing of the top 30 antique fairs in Tokyo held in 2013. When: 9 a.m. to 4 p.m. Cancelled if it rains. The market in October will be on the 26th. Description: The market is new. It opened in September, 2012 with a concept “Antique-Art-Crafts.” Under the concept, items at the market include not only antiques but also craft works, art works and handmade products. The environment the market is held is very nice comfortable and spacious. 3 minutes walk from the train stations. The same name market still exists at Tokyo Forum in Yurakucho. When: May 31 (Fri), June 1 (Sat) and 2 (Sun) in 2014 at Yokohama Sangyo Boeki Hall, Yamashita-cho, Naka-ku, Yokohama. Description: Authentic 130 dealers from all over Japan exhibit and sell on the spot thousands of high quality Japanese, asian and western antique items at the indoor antique show. The show attracts every year more than 10,000 visitors for three days. At a special corner, antique experts judge antique items brought by visitors free and consultions about purchases of the items by dealers are available. On Saturday, Dec. 9, 30 shops open street stalls in front of the hall (cancelled if it rains). Those who want experts and dealers visit their houses for judgement and selling antique items, please call 0120-756-510. When: Dec. 3 and 4 in 2013 11 a.m.-5 p.m. 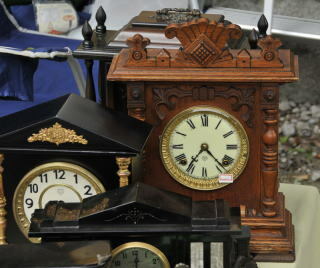 Description: The 21st indoor antique fair at the spacious Saitama Super Arena. 234 shops mainly from Kanto district, Japan. 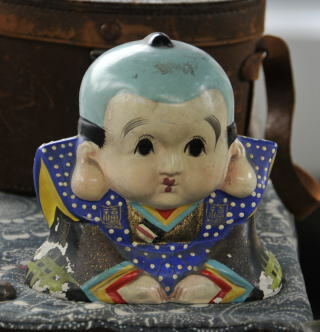 Japanese antique at 60% and western at 40% are displayed and sold on the spot. When: Oct. 29 and 30 in 2013, 10 a.m.-4 p.m. Description: 130 antique dealers of Japanese, American, western and kimono gather at the first Antique Festa at the Ajinomoto Soccer Stadium in Chofu. As a recent trend of antique fairs of the metropolitan area, the events are moving to indoor buildings where the shows are not cancelled due to rains and largers space is available. 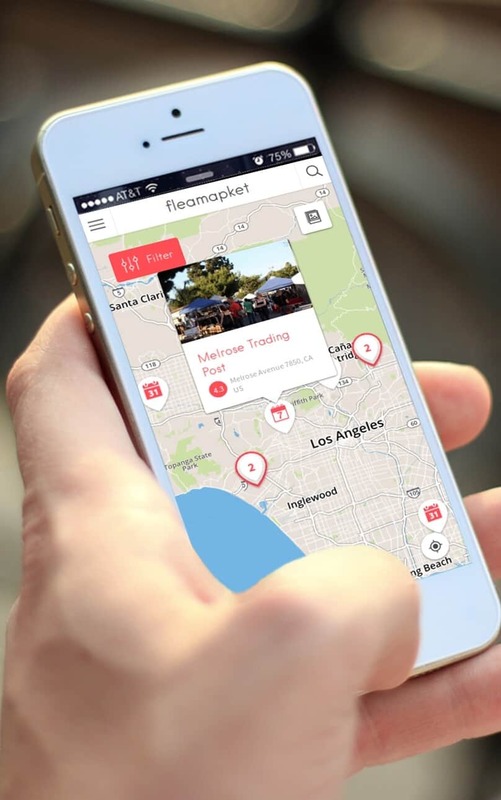 The organizer plans to hold the event two times a year. When: April 19, 20 and 21st 2014 Pacifico Yokohama C Hall, 12 noon-5 p.m. on 8th and 10 a.m. to 5 p.m. on 9 and 10. Description: Reliable 250 dealers from throughout Japan display and sell on the spot more than 300,000 items of Japanese, oriental and western antiques and collectables at Pacifico Yokohama Hall C.
The event is one of the largest in scale indoor antique fair in Japan. It is held twice a year. The next fair will be on April 19,20 and 21. Selected 40 to 50 antique kimono dealers from throughout Japan participating in the event. Items sold: Recycled kimono, antique kimono, old kimono cloths, bags, footwears, etc. 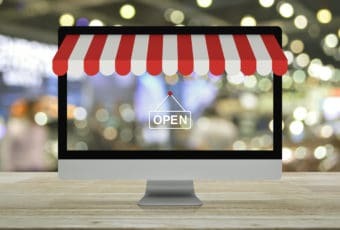 are exhibited and sold on the spot. The building where the antique kimono fair is under way is known as Yokohama Red Brick Warehouse which was the warehouses of the Yokohama Port. Today, the historical building is remodeled and houses shops, restaurants and used as an event hall. When: Oct. 2 (Tue) and Oct. 3 (Wed) in 2014. 11 a.m.-5 p.m. Description: The 29th indoor antique fair at the spacious Yokohama Arena is large in scale with 220 shops from all over Japan. The items are displayed and sold on the spot. Commodities include eastern as well as western articles. When: May 3,4,5 and 6 in 2014 from 10 a.m. at Tokyo Prince Hotel, Hamamatsucho, Minato-ku. Description: One of the largest and high quality antique exhibitions in Japan. This magnificent show is held every year from the end of April through the beginning of May at Tokyo Prince Hotel located near Zojoji Temple and Tokyo Tower. Over 200 selected exhibitors display around 300,000 high class items comprising drawings, prints, sculptures, glassworks, coins, jewelry, pottery, lacquerware, folding screens and many others from all around the world. Metropolitan Subway Mita Line Onarimon Stn. Description: Machida Tenmangu Garakuta Kotto-ichi (Antique Fair at Machida Tenmangu Shrine) is held on the first day every month except January. Machida is a big city located in the western suburbs of Tokyo with a population of over 400,000. The next fair will be on Nov. 3rd 2013. A fairly large open-air antique market is held from dawn to sunset inside the compound of the shrine with about 120 shops – no postponement or cancelling because of rainy weather. 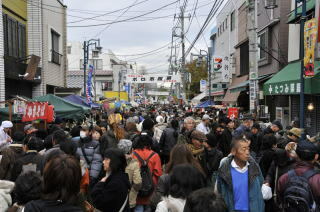 Description: Antique Fair at Arai Yakushi Temple in Nakano-ku is held on the first Sunday, Oct. 6 with 50 to 80 shops. Arai Yakushi belongs to the Shingon sect of Japanese buddhism. The temple is dedicated to Yakushi Nyorai (the healing Buddha). Generally temples which enshrine the healing Buddha are called Yakushi (temple). The formal name of the Arai Yakushi is Baishoin while it is more widely known as Arai Yakushi since it is located in Arai. The temple became popular when a prayer to the temple healed a serious eye disease of a daughter of the fifth Tokugawa shogun Ietada. Since then, Arai Yakushi has been believed by people as an eye-curing temple. 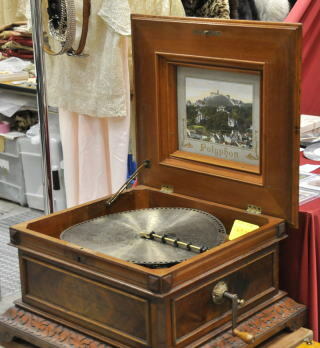 Description: Antique Jamboree at Tokyo Big Sight is one of the largest indoor antique shows in Japan with 500 dealers. The Jamboree is held twice a year. The next Antique Jamboree will be on Aug. 2,3 and 4 in 2014. The sale and exhibition Antique Jamboree brings many antique dealers and attracts enthusiasts. Visitors can expect Japanese and western ceramics, crafts, historical objects, colletibles, toys etc. It is a great chance to browse through a huge collection of unique antiques. Admission: 1,000 yen (general) and 3,000 yen for early buyers. Access: Kokusai Tenjijo Station on Yurikamome from Shinbashi and Rinkai Line. Description: The next fair will be on May 31, June 1 and 2 in 2014 at Dai-ichi Seimei Building Space Seven Event Hall with 150 dealers. This antique fair is very different from other fairs in Tokyo. It is modern, clean, fashionable, high class and enjoyable to browse. Western antiques overwhelms the east in numbers. Carefully chosen shops are nicely arranged to accomodate to the concept of this fair. The well organized fair gives happy feelings to the visitors. Indoor type antique fairs are generally high in qualities. Probably because it costs money for them to borrow halls. Access: Shinjuku Station on JR Yamanote Line, Chuo Line. 10 minutes walk. Description: December 2014 at Tokyo Ryutsu Center at Heiwajima, Ota-ku. The fair has the longest history as an indoor antique fair in Japan and the event is one of the largest of its kind. 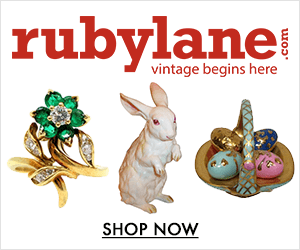 More than 250 antique dealers display thousands of items. The fair is held five times a year in March, May, July, Sept. and Dec. Description: The fair is held every month on the first Saturday at Asagaya Shinmeigu Shrine. Despite immediate distance from the train station, a large compound, big trees and the grand building of the shrine impress visitors. The next fair will be on Nov. 2nd 2013. The recently rebuilt magnificent shrine follows ancient Japanese shrine building styles. 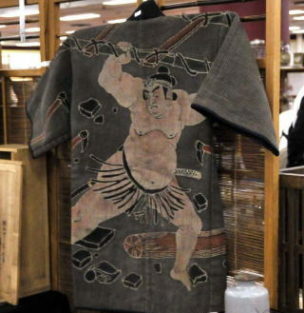 Commodities sold ranges from kimono to traditional Japanese household goods. Access: Asagaya Station on JR Chuo-Sobu Line. Description: July 12,13 and 14 in 2014 at Sangyo Boeki Center, Hanakawado, Asakusa. The indoor antique fair attracts every year about 20,000 visitors for three days. More than 100 authentic antique dealers display thousands of items of the east and the west. The venue is close to Sensoji Temple in Asakusa. Nearest Stn. Asakusa Station on Subway Ginza Line. 3 minutes walk. 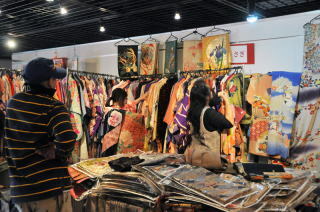 Description: O-Edo Antique Market at Tokyo Forum in Yurakucho is held on the 1st and 3rd Sunday. The next market will be held on Oct. 20. The largest open-air antique fair in Japan is held usually on the 1st and 3rd Sunday every month from 9 a.m. to 4 p.m. (cancelled if it rains). More than 250 dealers from all over Japan sell precious items, historical objects, artworks, kimono etc. 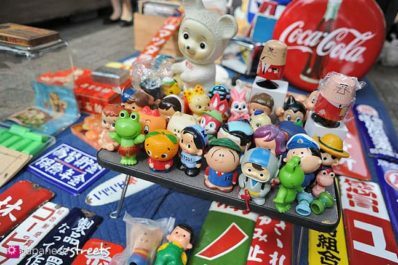 Description: Antique Fair at Togo Shrine in Harajuku, Shibuya-ku is one of the best and the most popular antique fair among foreigners in Tokyo. The fair is held on the first Sunday of each month with 90 shops from 5 a.m. to 3 p.m. (cancelled if it rains). The Fair at Togo Shrine is suspended indefinitely. Togo Shrine is dedicated to Japan’s great military hero Admiral Heihachiro Togo who commanded the Imperial Navy and brought the victory to Japan in Russo-Japanese War destroying the Russian Baltic Fleet in 1905 at the Battle of Tsushima surprising the world. Access: Harajuku Station on JR Yamanote Line, Jingu-mae Station on Subway Chiyoda Line. Description: Fussa Shichifukujin Antique Fair takes place at Kumagawa Shrine in Fussa every second Sunday. Next fair will be on Nov. 10 (Sun) 2013. Kumagawa Shrine has a history of 1,200 years and its main hall which is believed to be built in 1597 is a designated tangible cultural asset of Tokyo. You can also see stone statues of all the seven gods of Shichifukujin (Seven Deities of Good Fortunes) inside the shrine compound. 35 shops display and sell various kinds of traditional Japanese household goods as well as artistic items from 6 a.m. to 3 p.m..
Access: Kumagawa Station on JR Itsukaichi Line from Haijima. 10 minutes walk from the Kumagawa Station. Description: Open-Air Antique Fair at Yasukuni Shrine is held every Sunday from sunrise to sunset with about 100 dealers coming from all over Japan. The fairs in October will be on 20th and 27th. The antique fair at Yasukuni is largest of its kind which are held in temples and shrines in Tokyo. The long approach to the main hall of the shrine are crowded with people who are hunting “treasures.” Yasukuni Shrine is erected in memory of soldiers, sailors, and others who served the nation. Many visitors are seen on Sundays. They are mostly survivors of the war dead, veterans who come to meet their fallen comrades, sightseers, etc. Surprising people are occasional sounds of bugles by a group of people who are reenacting marches of soldiers in uniforms of Imperial Army and Navy. Access: Kudanshita Station on Subways Tozai Line, Hanzomon Line and Toei Subway Shinjuku Line. 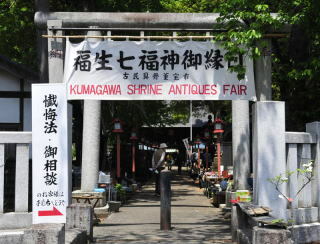 Description: Antique Fair at Tomioka Hachimangu Shrine in Fukagawa, Koto-ku is held every month on the 1st, 2nd and 4th Sundays (except Dec. 27 and Jan. 3) from 6 a.m. to 3 p.m. with about 150 shops. October fairs will be on 6,13 and 27. Tomioka Hachimangu is the largest Hachiman shrine in Tokyo. It was founded in 1627. Hachiman enshrines the emperor Ojin (died in 310AD) who deified as the God of War. Tomioka Hachimanis festival in mid-August is counted as one of the three great festivals in Tokyo (see August page). The shrine is strongly associated with sumo. During the Edo era, the shrine was the offical venue for sumo, and tournaments were held every spring and winter. The shrine is also proud of its “ichi-no-miya” mikoshi which is the biggest in Kanto and gorgeous – decorated with diamonds. Since the mikoshi is so heavy that it was only carried when it was brought in the shrine. The mikoshi is housed in the building and is displayed to visitors. Description: July 13 through August 11 during the period of Ueno Summer Festival. Old magazines and netsuke at the fair attract attentions of visitors. The magazines published during and before the WW II reflect the state of things and conditions of the society of the times very well. Netsuke is a pendant or toggle, fastened to the end of a cord attached to a purse, tobacco pouch, etc. They are carved out of wood, ivory, deer-horn and various other materials. Netsuke are carved in all manner of designs embracing Japanese history, religion, flolk-lore, the domestic life of the people, animal, etc. Netsuke was popular among the plebian during the latter part of the 17the century in Edo period. Netsuke sold here are cheap ones made of wood. They are made in China. Access: Ueno Station on JR Yamanote Line. Description: Every month on the first Saturday except January and November. October fair will be on the 5th. Kanamachi, Katsushika-ku from 8 a.m. to 5 p.m. Some say most antique shops or flea markets at temples and shrines only deal junks. That may be true but the things they sell are comparatively cheap and the values of antiques differ by the interest of people. Visiting Japanese shrines and temples and looking around antique stalls may be a fun. Access: 15 minutes walk from Kanamachi Station on JR Joban Line. 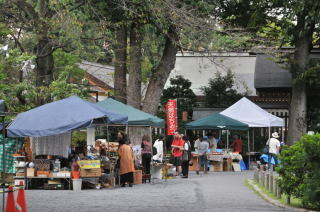 Description: Antique Fair at Gokokuji Temple is held every month on the second Saturday. The next fair will be on November 9 2013. About 100 dealers open their stalls from early morning to 4 p.m. Looking around stalls and finding different items from ones you use in your country will be a fun and a good way to learn about different cultures and histories. 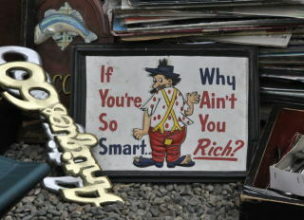 The picture in the right is Fukusuke – a popular toy (in old Japan) in the shape of a dwarf with a big head used as an ornament and often seen as a shop sign. It was believed to bring luck. The temple was built at the wish of Keishoin the mother of the fifth shogun Tokugawa Tsunayoshi in 1681. Its main hall is the oldest wooden temple building in Tokyo which survived the Great Kanto Earthquake in 1923 and W.W. II. It is worth seeing. Description: Antique Fair at Hanazono Shrine is held every Sunday (except the days of the shrine festivals and Dec. 27 and Jan. 3) from early morning to 3 to 4 p.m. October fairs will be on 6,13,20 and 27 (cancelled if it rains). Hanazono Shrine is the largest shrine in Shinjuku district and has been known as the guardian of Shinjuku. It was established during the Edo period. Today, the shrine is located near the red light district of Kabukicho. A feeling of out of place about the location of the shrine disappears when visitors enter the shrine compound – it is very quiet as other shrines are and does not fail to give people comforts. Access: 3 minutes walk from Shinjuku San-chome Station on Subway Marunouchi Line and 7 minutes walk from Shinjuku Station on JR Yamanote Line and Chuo Line. 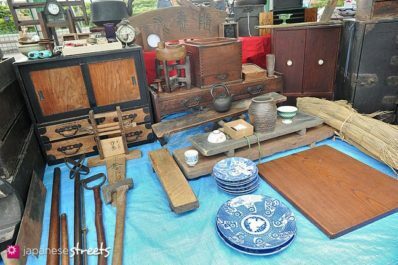 Description: Antique Fair at Nogi Shrine is held every month on the second Sunday from early morning to 3:30 p.m. with about 40 dealers. Due to dense population of foreigners in this area (Akasaka and Roppongi), foreign visitors are often seen at this antique fair. The fairs are suspended indefinitely. Nogi Shrine is dedicated to General Maresuke Nogi (1840-1912). 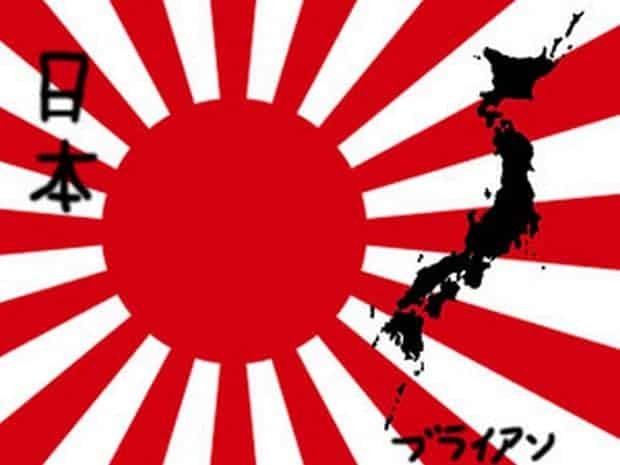 Nogi was a great soldier and a hero of the Meiji period. He commanded the imperial Army and took Port Arthur from Russia in 1905 at the same time he lost both his sons in the combat. On the day of the funeral of the Emperor Meiji in 1912, he and his wife took their lives. He was one of the greatest heroes of Japan until before the World War II. The residence of Gen. Nogi where he and his wife took their lives remains in good contions on the ground of the shrine. Description: Yamato Promenade Antique Market is held on the third Saturday every month with more than 200 shops from 6 a.m. to 4 p.m. Next fair will be on Oct. 19. The fair probably is the largest of its kind in the Kanto district. Yamato Promenade Antique Market was first introduced in 1998 to promote businesses of the city’s commercial district and the event has been supported by Yamato City and the chamber of commerce. The city is close to Yokohama and many traders come from Kanagawa. Yamato is adjacent to Atsugi and they used to have many items from the U.S. Naval Station but not very much since the Sept. 11according to a trader. 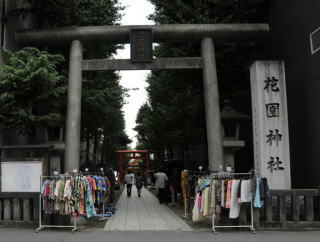 Description: Takahata Fudo “Gozareichi” Antique Fair is held on the 3rd Sunday each month with about 120 shops from 7 a.m. to 4 p.m. The next fair will be held on October 20. Takahata Fudo Temple, located in Hino City in the western suburbs of Tokyo, belongs to the Shingon Sect of Japanese Buddhism (more specifically Chizan division of Shingon Sect). The temple is counted among the Kanto region’s three major temples dedicated to Fudo Myoo (Acala Vidyaraja). The temple includes a lot of cultural assets, some of which are designated as Important Cultural Assets. In the hall of five-story pagoda there is Kobo Daishi (founder of Shingon sect) and 1000 Jizo Statues (sentai Jizoo). Takahata Fudo is a popular temple and on a fete day, every month on the 28th, the temple is crowded with visitors. 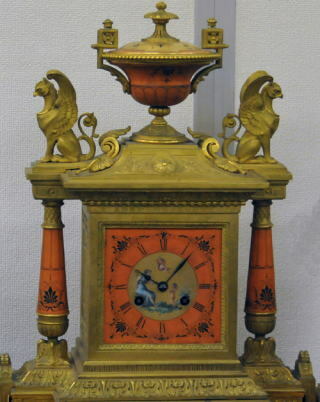 Description: Tama Antique Fair is held at Suwa Shrine in Tachikawa on the 4th Sunday every month but August. The next fair will be Oct. 27. The fair was opened in 2002 by the members of Yaho Tenkai which has a high reputation as a group of antique dealers in this area. The fair takes place at Tachikawa Suwa Shrine in the south of JR Tachikawa Station from 7 a.m. to 4 p.m. Visitors can relax and enjoy the antique fair which is held inside the quiet compound of the beautiful shinto shrine which has long been revered as a guardian god of this ares of Tachikawa. 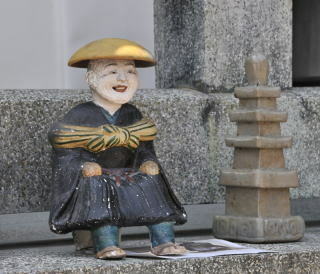 About 50 shops display and sell Japanese antiques, old books and magazines, kimonos, old toys and dolls, arts and more. Parking lot for 80 cars. This is Setagaya’s most famous traditional winter event. During the fair, Boroichi Dori (Street) is lined up with hundreds of stalls (as many as 750) featuring second-hand items, clothing, plants, and a variety of other goods. The event has a history of more than 400 years. In 1578, the Lord Hojo Ujimasa authorized a tax-free market at this place. At first, farmers brought old clothes, used furnitures, agricultural products, farming equipments, etc. Boro means rags in Japanese. People brought scraps of cloth which could be used for patching their clothes or for weaving the thongs used in waraji (straw sandals). Along the street is a thatched-roofed Daikan Yashiki (residence of a local governor) which was built in 1727 by Oba Morimasa. Time: 6 a.m. to 9 p.m.
Access: Setagaya Station or Kamimachi Station on Tokyu Setagaya Line from Sangenjaya Station.